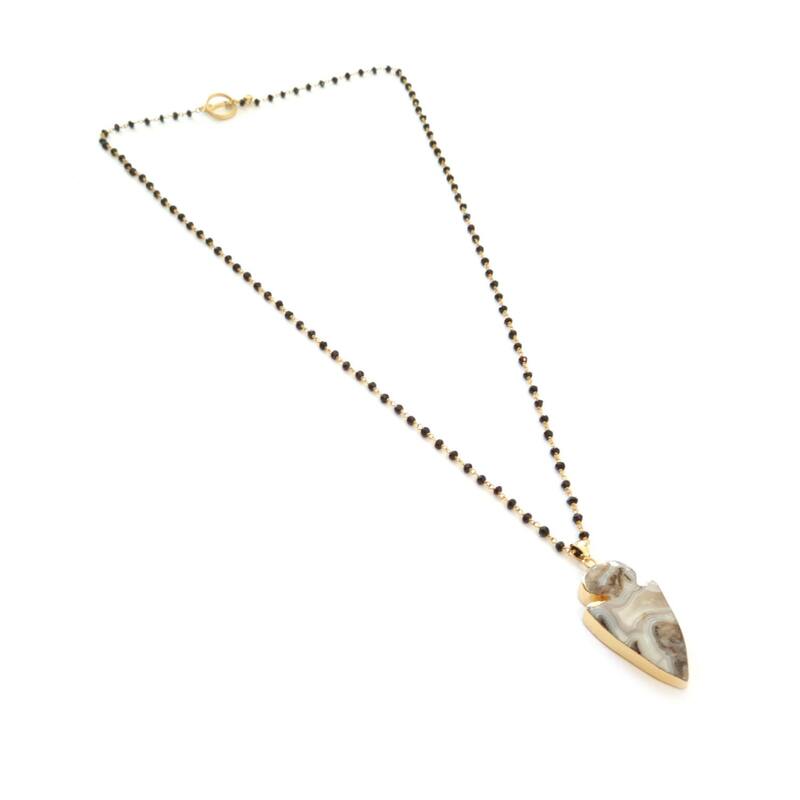 I love this long boho necklace with its textured stone arrowhead hanging from a black onxy rosary chain. I fell in love with this arrowhead as soon as I saw it at the Tucson Gem & Mineral show, so I bought the woman out! 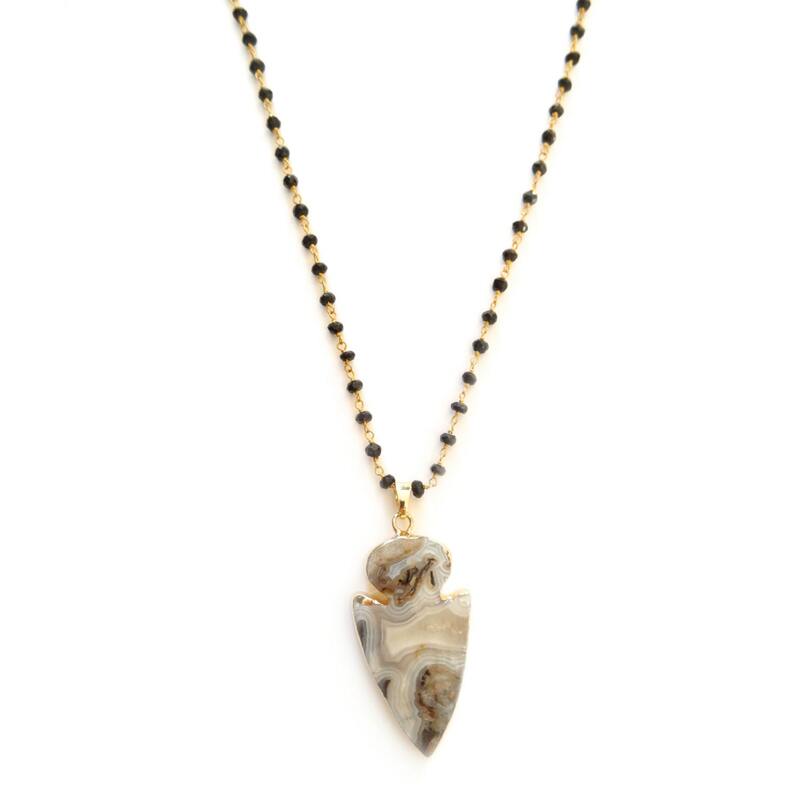 This pendant has stunning, swirling layers of agate in beautiful shades of browns and grays. It is highly polished and stunning. I hung it from a black onyx rosary chain for some extra texture. The second photo will give you an idea of size and length - I'm wearing it at 30". 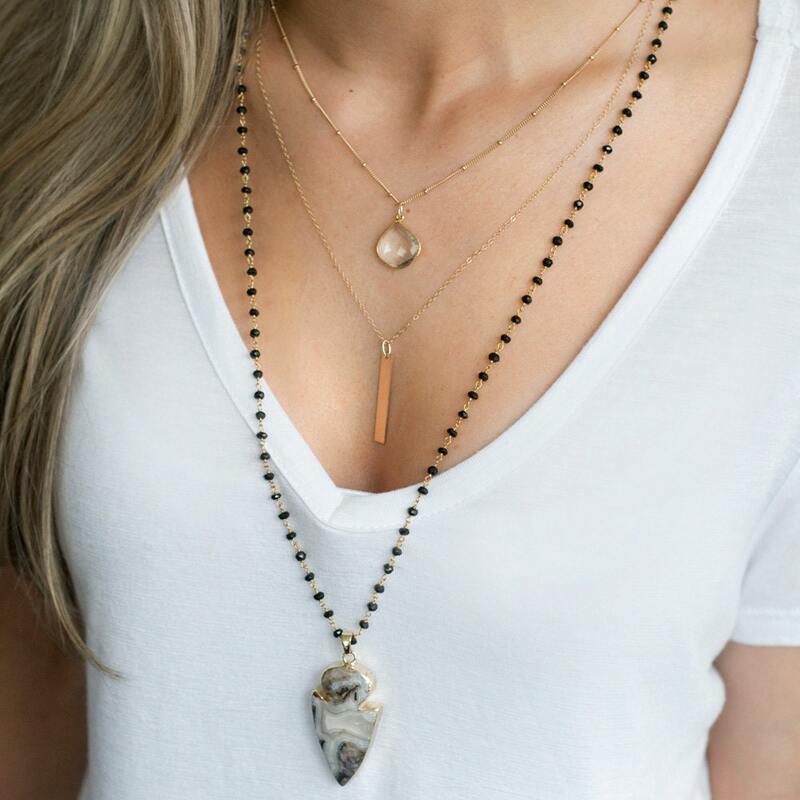 This necklace comes mailed in a pretty organza gift bag or Landon Lacey box for easy gift giving. Please let me know if you would like a little note included! Very unique. 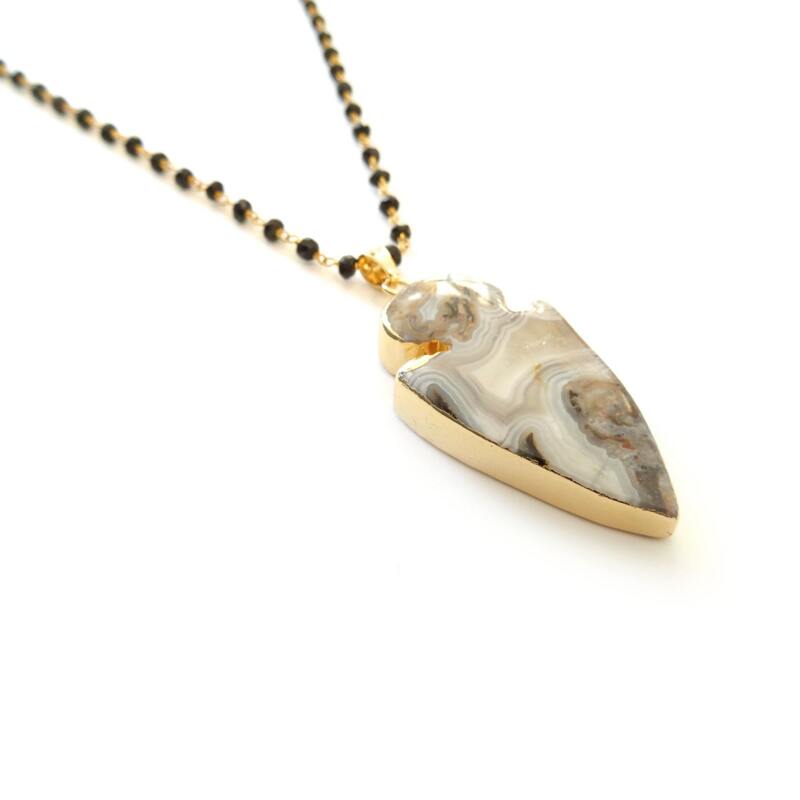 Have received many compliments on it. Very satisfied. Shipping was fast. Necklace was well liked by recipient.